Home Career guide Part 12: The most powerful way to improve your career. Join a community. Part 12: The most powerful way to improve your career. Join a community. 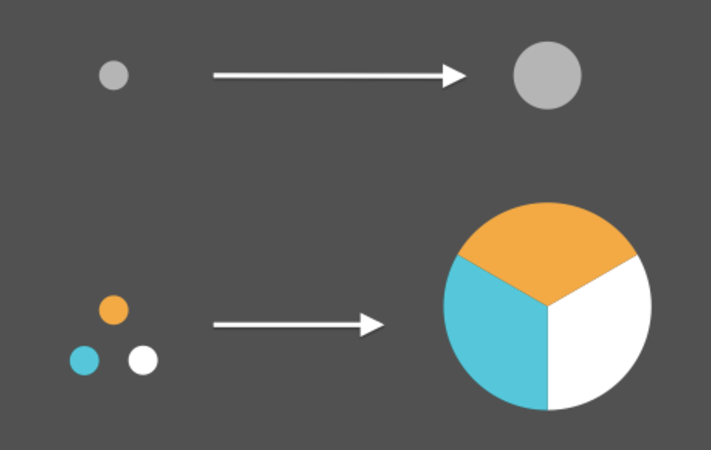 2 How can the effective altruism community boost your career? 3.2 How can we work together more effectively? Not many second year students are in a position to start a multi-million dollar charity. But when Ilan visited the “effective altruism” community in Oxford, he discovered an opportunity to start a nonprofit doing research into the most effective ways to end factory farming. If Ilan had just handed out business cards at networking conferences, this would have probably never happened. And this illustrates what many people miss about networking: the value of joining a great community. If you become a trusted member of a community, you can gain hundreds of potential allies at once, because once one person vouches for you, they can introduce you to everyone else. That means it’s like networking but one hundred times faster. In fact, getting involved in the right community is perhaps the single biggest thing you can do to make friends, advance your career, and have a greater impact. You’ll not only improve your connections, but also your knowledge, character, motivation, and more. In this article, we’ll explain how our community can help and how to get involved. Nothing spells community like the letters c, o, m, m, u, n, i, t, & y. Thanks, Large Group of People Holding Word Community/ Getty Images. There are lots of great communities out there. We’ve enjoyed being part of Y Combinator’s entrepreneur community – it made us more ambitious and more effective at running a startup…hopefully. We’ve also enjoyed participating in the Skoll social entrepreneurship community, the Oxford philosophy “scene”, the World Economic Forum’s Young Global Shapers, and many others. 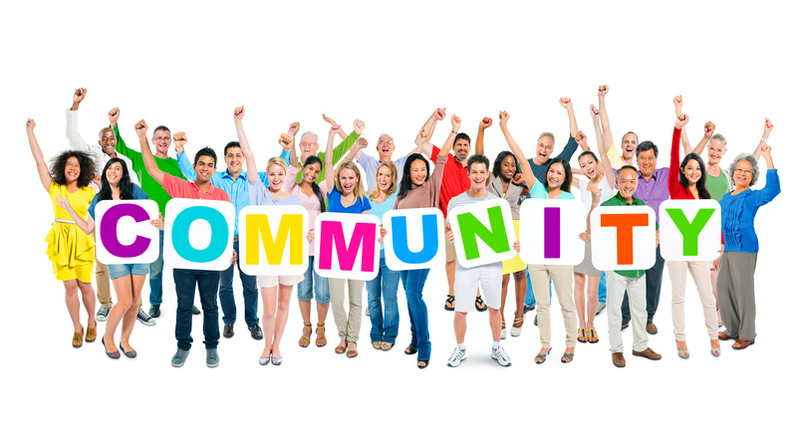 Joining any good community can be a great boost to your career. In part, this is because you’ll get all the benefits of connections that we covered earlier: finding jobs, gaining up-to-date information and becoming more motivated. But it goes beyond that. Let’s suppose I want to build and sell a piece of software. One approach would be to learn all the skills needed myself – design, engineering, marketing and so on. A much better approach is to form a team who are skilled in each area, and then build it together. Although I’ll have to share the gains with the other people, the size of the gains will be much larger, so we’ll all win. One thing that’s going on here is specialisation: each person can focus on a specific skill, and get really good at it, which lets them be more effective. Another factor is that the team can also share fixed costs – they can share the same company registration, operational procedures and so on. It’s also not three times harder to raise three times as much money from investors. This lets them achieve economies of scale. In sum, we get what’s called the “gains from trade”. Three people working together can achieve more than three times as much as an individual. It’s the same when doing good. Rather than have everyone try to do everything, it’s more effective for people to specialise and work together. An especially good thing about trade is that you can do it with people who don’t share your goals. Suppose you run an animal rights charity and meet someone who runs a global health charity. You don’t think global health is a pressing problem, and the other person doesn’t think animal rights is a pressing problem, so neither of you think the other’s charity has much impact. But suppose you know a donor who might give to their charity, and they know a donor who might give to your charity. You can trade: if you both make introductions, which is a small cost, you might both find a new donor, which is a big benefit. So, you both end up with a big benefit for a small cost, so you both win. This shows valuable to join a community even if the people in it have different aims from your own. That said, it’s far better again to join a community of people who do share your goals. That’s why there’s a community we especially want to highlight, which many people have not yet heard about: the effective altruism community. How can the effective altruism community boost your career? Steven Pinker, Johnstone Family Professor of Psychology at Harvard University and author of The Better Angels of Our Nature. The effective altruism community is a group of people devoted to using evidence and reason to figure out the most effective ways to help others, such as through donating, political advocacy, or using their careers. We helped to start the community back in 2012, along with several other groups. If you like the ideas in our guide, there are some good reasons to get involved. In fact, we know people who have been involved with McKinsey, Harvard Business School, the Fulbright Scholarship, the World Economic Forum, and other prestigious networks, but many of them say they find it more useful to meet people in the effective altruism community. Why? In part, it’s because through the community we’ve come across some of the most high-achieving, smart, altruistic people we’ve ever met. There are now over 100 meet-ups around the world and over 10 conferences every year, including in Africa and Asia. More importantly, the members of the community get things done – they’ve pledged billions of dollars to effective charities, done groundbreaking research, and founded over ten organisations focused on doing good (more figures). But the even bigger reason is what we said about trade. People can work with others who don’t share their values because they can swap things that are a small cost to them, but a big benefit to someone else. But if you share aims with someone else, then you don’t even need to trade. In the effective altruism community people share a common goal: to help others as much as possible. So, if you help someone else to have a greater impact, then you increase your own impact too. So, you both succeed. Earning to give can actually be an example of that kind of collaboration. In the early days of 80,000 Hours, Ben and Matt had to choose between running the organisation and earning to give. We realised that Matt had higher earning potential, and Ben would be better at running the organisation. In part, this is why Ben became the CEO, and Matt became our first major donor, as well as a seed funder for several other organisations. The alternative would have been to for both to earn to give, in which case, 80,000 Hours wouldn’t have existed. Or, both could have worked at 80,000 Hours, in which case it would have taken us much longer to fundraise (and the other organisations wouldn’t have benefited). Within the community as a whole, some people are relatively better suited to earning money, and others to running non-profits. We can achieve more if the people best suited to earning money earn to give and fund everyone else. There are lots of other examples of how we can work together. For instance, some people can go and explore new areas and share the information with everyone else, allowing everyone to be more effective in the long-term. Or, people can also specialise rather than needing to be generalists. For instance, Dr. Greg Lewis did the research into how many lives a doctor saves that we saw earlier. After realising it was less than he thought, he decided not to focus on clinical medicine. Now, he’s studying public health with the aim of becoming an expert on the topic within the community, particularly on issues relevant to pandemics. He actually thinks risks from artificial intelligence might be more urgent overall, but as a doctor, he’s relatively best placed to work on health-related issues. For all these reasons, if you share the aims of the effective altruism community, it can be a uniquely powerful community to join. And, if you liked this guide, then you’ll probably share aims with lots of people in the community. So here’s what to do next. Effective Altruism Global, Berkeley, 2016. The easiest thing to do right now is to join the effective altruism newsletter. You’ll be sent a couple of emails that introduce the key ideas; a monthly update on new research; and be notified of the key conferences each year. If you want to learn more about the ideas underlying the community, read this introduction and the following handbook. 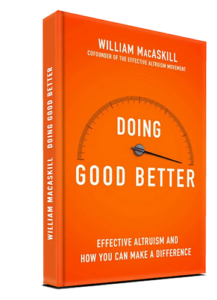 For a more popular introduction, check out Doing Good Better, a book by our co-founder Will MacAskill (though it’s a little out of date), or his TED talk. Steven Levitt, the author of Freakonomics, said the book “should be required reading for anyone interested in making the world better”. Once you’re up to speed, try to meet people in-person, since this is how to find connections that can really help your career. The best way to do this is to attend an Effective Altruism Global conference. There are over 10 each year all over the world. To be notified of the latest dates, join the effective altruism newsletter. Once you’ve met a few people in the community, ask for more introductions. Alternatively, you can attend a local group event, or you can join the discussion online on the Effective Altruism Forum. When meeting people, start by aiming to meet people in a similar situation to yourself, since there will often be opportunities to help each other. Then, try to speak to people who are one or two steps ahead of you in your career (e.g. if you want to start an organisation, meet people who started one last year). When you’re getting involved, look for “five-minute favours” – quick ways you can help someone else in the community. There are probably some small things you can do that will be a great help to someone else in the community, such as making an introduction or telling them about a book. This will both have an impact and let you meet even more people. Another way to get more involved is to visit, or even move to, one of the hubs of the community. These are, roughly in descending order of size: San Francisco, London / Oxford / Cambridge, Berlin, Boston, Melbourne / Sydney, New York and Vancouver. Read more about why and how to visit. See more tips on how to get involved and how to build connections. How can we work together more effectively? If you’re already involved, there’s a lot to say about how best to work together, and we still have a lot to learn. Here’s a recent talk we gave on the topic, and for more detail read our articles on “talent gaps” and the “value of coordination”. Also see Moral Trade, an academic paper by our trustee, Dr. Toby Ord, and Considering Considerateness, an article by our sister charity. Next up, let’s wrap up our entire career guide. If you’re new, go to the start of the guide. No time now? Join our newsletter and we’ll send you one article each week.